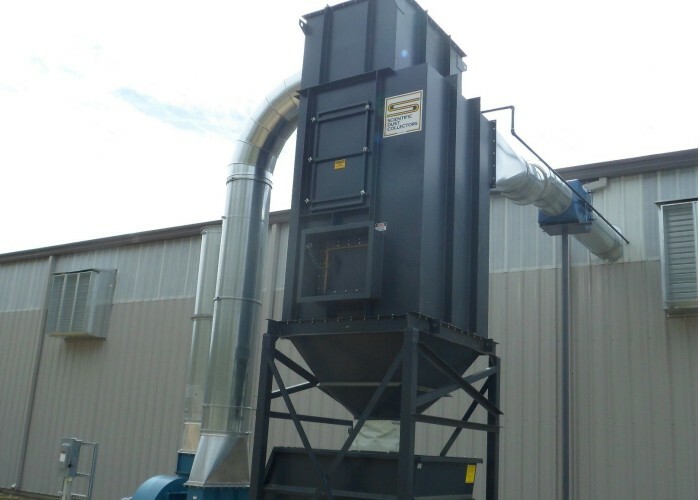 Scientific Dust Collectors' Supersonic Pulse Jet Bottom Removal (SPJ-B) Collector is designed for low-profile applications where headroom is a factor. It utilizes the patented supersonic nozzle cleaning system as well as a high-side inlet so that the heavier dust falls out of the air stream. These features allow the collector to operate at higher air-to-cloth ratios, lower pressure drops, and provide longer filter life. This design also has all the same benefits and features as our top bag access designs. The only difference is that the bags are accessed from the dirty air side of the baghouse.